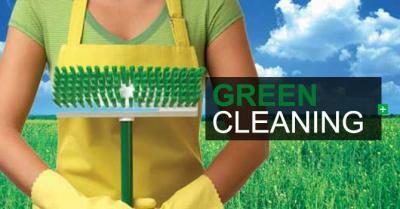 Why choose an environmentally friendly Anderson, SC cleaning company? Here are 4 reasons why green business is the best choice..
Environmentally friendly in Anderson, SC equals people friendly. Our cleaning business is great for places which must be cleaned during regular working hours. Our EPA (Environmental Protection Agency) approved cleaning products have a lower toxicity and do not release harsh chemicals into the air. We are especially useful for schools and hospitals where effective cleaning is needed throughout the day without harming individuals who are more sensitive to chemical smells and fumes. Our products are safer to use and store. Some industrial cleaning have toxic smells that stay in the air for days. Many people believe that environmentally friendly cleaning products are less effective. This is not the case. The cleaning products we use are actually more effective in some cases. The products are used are made from plant based ingredients such as lemon and cocoanut which have been used in cleaning products decades. Environmentally friendly Anderson, SC products are not more expensive. In fact, many of the products we use come from local suppliers and are less expensive. More and more businesses and institutions are scoring points with green-minded individuals by implementing a green plan and being able to advertise their place of business as being environmentally friendly in Anderson, SC. Hire us as your cleaning contractor and you can display any number of green symbols, including the EPA logo, as part of your public image. We have a special green symbol that you can use in your advertising to indicate that you supporting green business. Green business is good business. We care about the environment and would love to become part of your green initiative today!